Easily scan papers into single or multiple searchable documents, configure property-values and upload the scanned documents – all in a single click! Without leaving your SharePoint interface quickly scan documents into a library or attach them to a list item by using integrated scanning menus. With the multi-lingual OCR feature, easily save your scanned files as searchable PDF files – all designed for non-technical business users! Many organizations which already decided on moving to paperless information management still find themselves having to manage large amounts of papers on a daily basis. 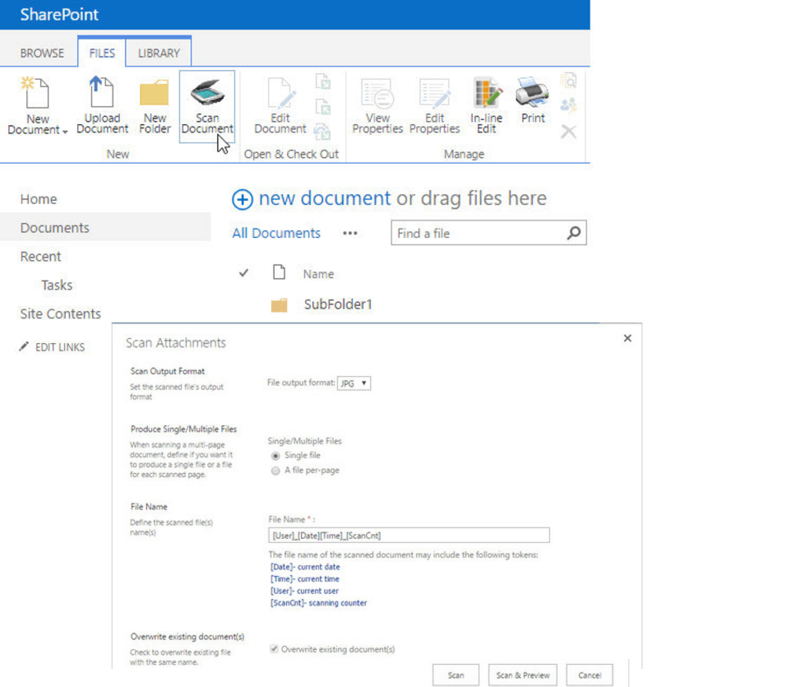 Scanning documents and uploading them to SharePoint is a time consuming process (scan to local folder, upload each scanned document and tag it), thus making it very difficult to store information originated from papers, into SharePoint. iMUSH Scan solves the SharePoint scanning issue by adding the missing “Scan” menus for libraries and lists, and by enabling batch scanning and tagging of documents – all in a single click!